398-yr old Quercus muehlenbergii in Floracliff Nature Sanctuary. It, aka 'The One', is also the oldest documented tree in KY to date. Beverly James, preserve manager of Floracliff Nature Sanctuary, coring a 372-yr old Quercus muehlenbergii in . 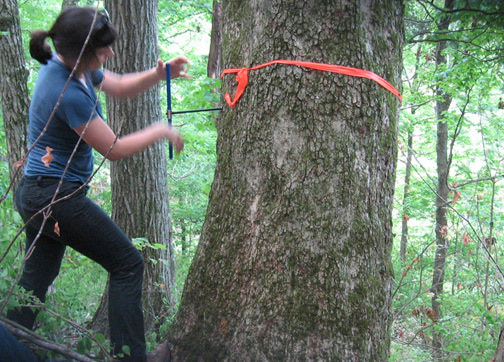 © 2009 Rocky Mountain Tree-Ring Research, Inc. & Eastern Kentucky University - All Rights Reserved.